This telephone office was located at approximately 207 Front Street in Brandon MN. 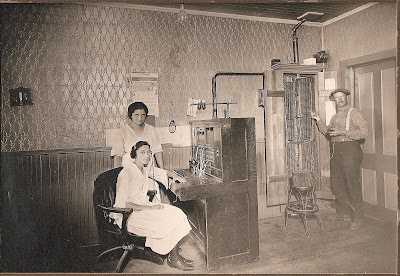 In the picture the telephone operator seated is Gertrude Stariha Renkes. The one standing behind her is Hildegard Stariha Loeffler. The lineman and technician is Carl Bolin. 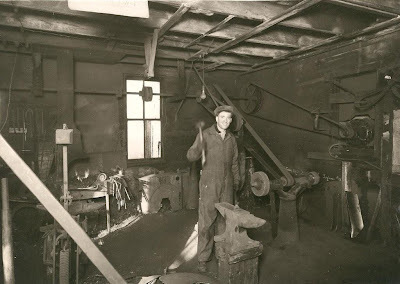 Peter Bitzan with homemade tractor built in 1915-1916. Chassis from an old steam engine, Witte engine, tank in front for cooling. 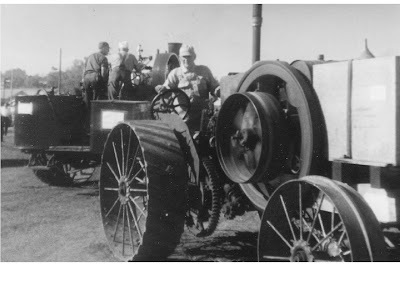 First gas tractor used for threshing in Millerville township.